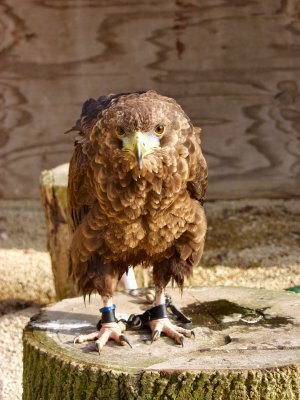 In March 2003 I visited the Cotswold Falconry Centre on a mild and sunny Sunday afternoon. 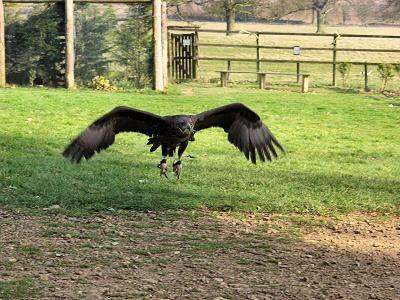 The Falconry Centre is in Batsford Park near Moreton-in-Marsh, Gloucestershire. 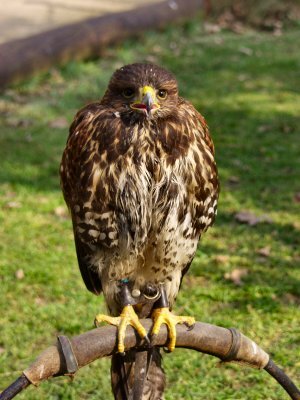 It is home to about 80 birds of prey including falcons, eagles, owls and hawks. 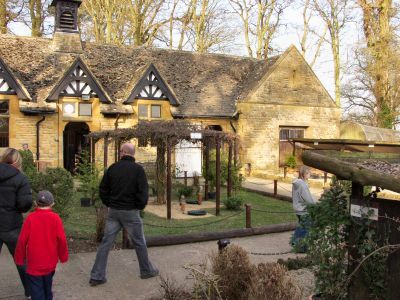 Some of them can be seen on the lawn when entering the centre, others are in aviaries further into the centre. 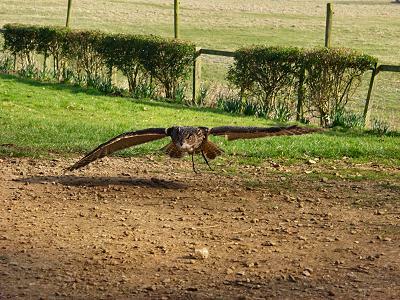 Several flight displays take place every day with detailed explanations given about everyone of the different birds. 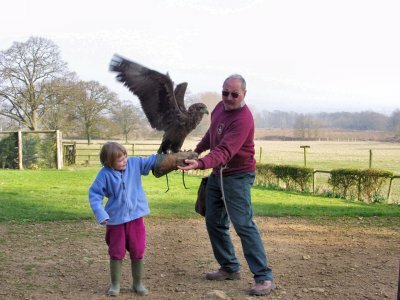 Children are given a special treat and are allowed to let a bird land on their outstretched arm (with a helping hand by owner Geoff Dalton).